Another day in and near the harbour of Oostende, where surprisingly few gulls were present. 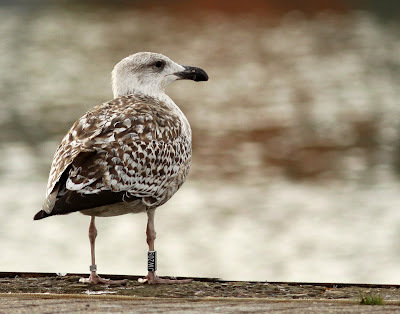 I only saw 6 ringed birds, but they included some nice ones. 3 Herring gulls were all well known birds, but a c-ringed Greater black-backed gull with black ring JW209 turned out to be ringed in Denmark instead of Norway, a nice surprise! I could also read 2 metal-ringed Black-headed gulls, 1 from Belgium and 1 from the Netherlands. 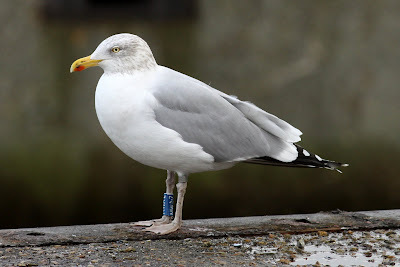 By entering this ring into the Dutch website (www.griel.nl) I already got the ringing details, it was ringed as a nestling last year at Starrevaart near Den Haag. 1st cy Greater black-backed gull black JW209 (NH Lorenzen), ringed in Denmark. 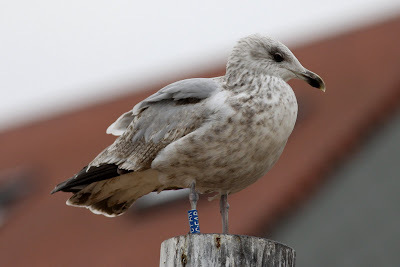 ad Herring gull blue MWA.Z (E Stienen). 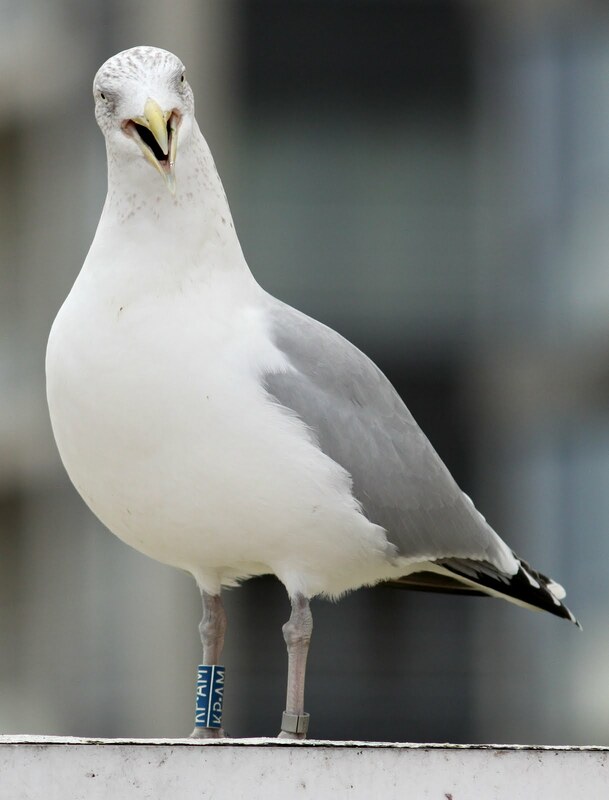 ad Herring gull blue KP.AM (E Stienen). 3rd cy Herring gull blue C.FAR (E Stienen). 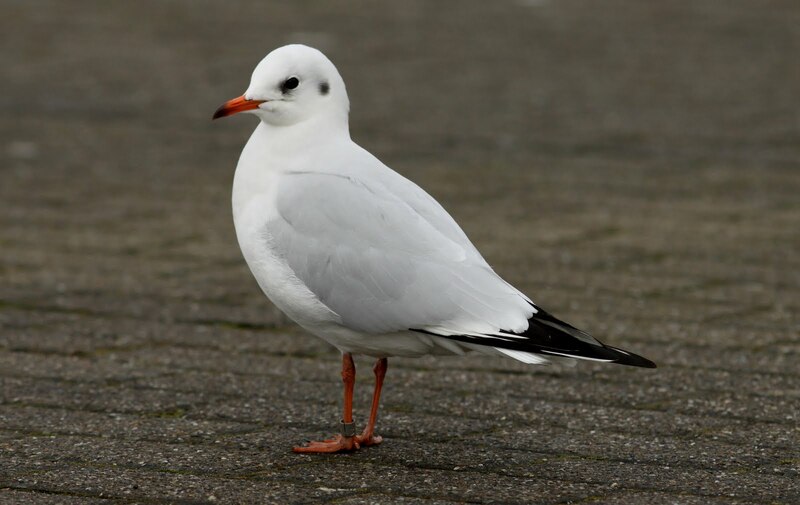 2nd cy Black-headed gull with Dutch metal ring.